I have been contemplating writing a Post covering some aspects of responsible dog ownership. The ideas are numerous and the trigger was that “used dog” comment noted in an earlier Post*. My daughter, who lives on the other side (West coast) of this vast country, read the “Used Dog” post* and sent me a link to a recent article about dog abuse in her part of the world. Calling a rescued dog “used”, and calling dogs in general “inconsequential” are affronts to our supposed humane society and (I believe) are in conflict with all main stream spiritual teachings. Grabbing a dog? You can do that after you’ve grabbed the bread from the local store! My thoughts shifted from responsible dog ownership, to this mentality that animals are of no consequence. The above situation may seem a little extreme but is it really? I am given to understand that a significant number of dogs that go through our Humane Society are ones that have simply lost their original appeal. The cute puppy that grew up; The “gift” for the teenager which was unwanted after the teen went to University; The high energy dog that could not adapt to apartment living; The “macho image” dog that was taught to be aggressive and then could not be controlled; The dog that was constantly escaping; The dog that was beaten into submission (got to show it who is the boss) and which later rebelled; The dog that (surprise… surprise) did not come already trained! It would be so easy to continue blasting the irresponsible dog owners but perhaps the problems go much deeper. Perhaps we have an inherent flaw in our culture and, by association, our education system. It has crossed my mind a number of times that taking on the responsibility of a dog is not much different than taking on the responsibility of a child. I can only speak from my experience as a parent, but I wonder how many other parents would be able to relate to the following? My initial knowledge of babies and child raising was based on vague recollections of my Mum looking after my younger sister, and my own upbringing. In effect, I knew nothing about babies except how they were made, and my only knowledge of child raising was what I had experienced as a child. My biggest education came when we had our own and, in the absence of a clear alternative, they were essentially raised much the same way as we were with perhaps some minor modifications. I have often thought that having a child is probably the greatest responsibility that we can ever have (they are, after all, the future), and yet we have no prior training; no manual to reference and we are confronted with a dazzling display of contradictory advice. We make decisions “on the fly” and pretty much hope that it all works out! My children were born in the late 60’s/early 70’s but has anything changed? My daughter certainly muddled through resulting in me having a wonderful grand-daughter ….. but having to muddle through? It takes more credibility to get a driving license than it does to raise a child. I cannot get on a bus unless I show evidence that I am qualified (by showing a ticket or by paying). I can however have a child and all I need is a willing partner! If we, as a culture, see nothing wrong in intuitive child rearing (expressions like “winging it” or “on a wing and a prayer” come to mind), then how can we expect dog ownership to be treated any differently? If we actually believe that raising a child is simply intuitive, then what argument would suggest that raising a dog is any more or less intuitive? Who needs to know anything if we can rely on intuition? Perhaps some early enlightenment in the responsibilities of child raising would be of value. Perhaps the inherent financial burden and significant self-sacrifices should be stressed. Perhaps the 18 years that the child is your legal responsibility should really be emphasized. Perhaps the fact that a child is a long term commitment should be clearly understood. What to expect through the growing years? Issues with adolescence? Tough love? Supportive parenting? Perhaps people need to be taught more in the area of parenting before they are starting families? 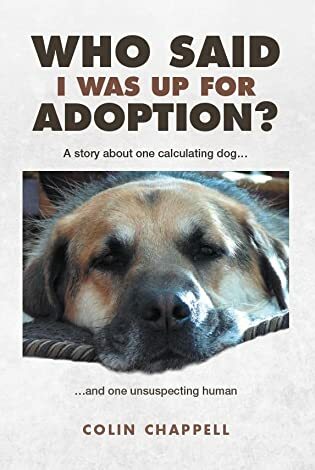 Perhaps if they realized, and understood, the complexities and responsibilities of child raising prior to doing it, they would be more receptive to learning about the complexities and responsibilities of dog ownership prior to buying or adopting one? Perhaps we would not only see a reduction in animal shelter intakes, but also a reduction in human population growth? Bonus!!!!!! It’s time to give Ray another hug! I just participated in a poll about if folks were more prepared for children if they had dogs b4 having chitlins. Yes, said the poll. I just wish more folks would just stop at having the dog! Thanks for letting me blow of some stream, Ray. Off to give my boys some tummy rubs! I am surprised at the author still being employed and the editor for allowing such a story however, on the perverse side of human nature and business ………….. controversy makes for good publicity. Madonna made a very successful career using controversy. Oh do it! I remember an instance where three dogs died in cars at a car boot sale, one woman driving off when confronted with the dead dog in the back. I approached a woman about to leave her boxer in the car on one of the hottest days of the year. She felt that by putting a blanket over the front windscreen, leaving a window slightly open and a bowl of water, the dog would be OK. When I mentioned the microwave effect on dogs in cars, she got extremely hostile and abusive, saying she did it all the time and to mind my own f**king business. I was so furious at her attitude and cruelty to her pet, that I wrote to the local paper. The next time we went to that particular car boot sale, there was a 20p charge for parking, but they had a warden. If they discovered a dog in distress in a car, they contacted the RSPCA and called the police to break into the vehicle. Dogs can’t unlock doors to get out. Thx. I will read your two mentioned Posts! I just did! There is an incredible chasm between the perspective that a dog could even be considered as a seasonal gift vs recognizing it as a being with feelings and desires. There is an equal chasm between the concept that a dog is a commodity to be used, or thrown away, as one deems necessary vs a dog becoming part of the family and is respected as such. Good Posts. I hope other readers here will also go and read them. Glad you enjoyed them. You can refer to them if you wish (I’ve done several on dogs as I prefer them to people sometimes, and Maggie is a great source of inspiration! One post explains why I quit my ‘job’ as a kennel maid). Just for the record, the Boxer incident must be credited to Pensitivity101 who commented earlier on this Post. Maggie is a border collie cross springer spaniel, so we got the wacky end of both!